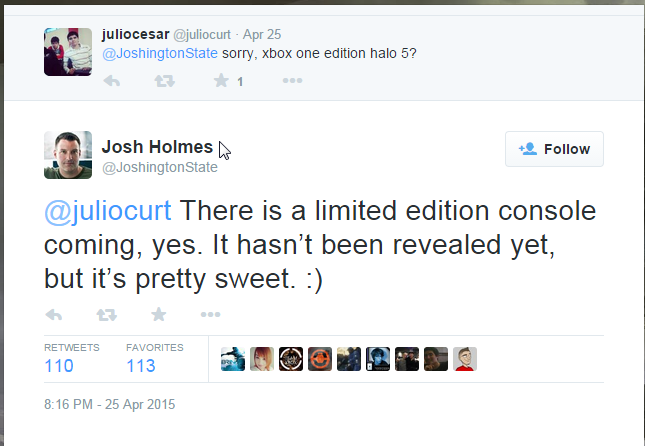 Yesterday a Twitter user asked Josh Holmes, Studio Head for Halo 5: Guardians, about a special edition H5 Xbox One. Josh replied with the following. Pardon the quality as the original tweet was deleted, but I was able to get a screencap.